The Vatican City may be famous as the state where the Pope resides, but aside from this and the fact that great Catholic structures are scattered all over the city, do you know that a lovely garden is hidden somewhere in it? The Vatican Gardens are composed of parks and urban gardens that were initially created and maintained during the Renaissance and Baroque period. This garden does not only boast of various flowers but also of different sculptures and fountains. New York Times blogger Katie Parla writes about the incontestable beauty of the Vatican Gardens that was “once accessible on a more limited basis” (“Vatican Gardens Open to Public Tours”). -- the gardens are now open to regular eco-friendly minibus visits, which depart from Piazza Pio XII near St Peter’s Square five days a week… The minibus traverses the sprawling, verdant complex, which includes an English garden, a French garden, an Italian garden, as well as pavilions and fountains, which incorporate antique statuary. Here is the link for the rest of her article. 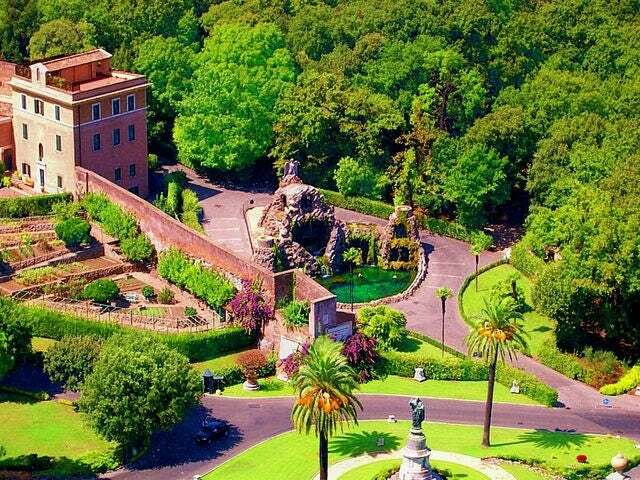 So take time to include the Vatican Gardens in your trip to the Vatican City!